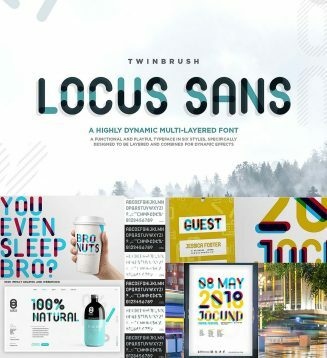 Locus Sans is a unique and dynamic, multi-purpose, layered, all-caps display font. 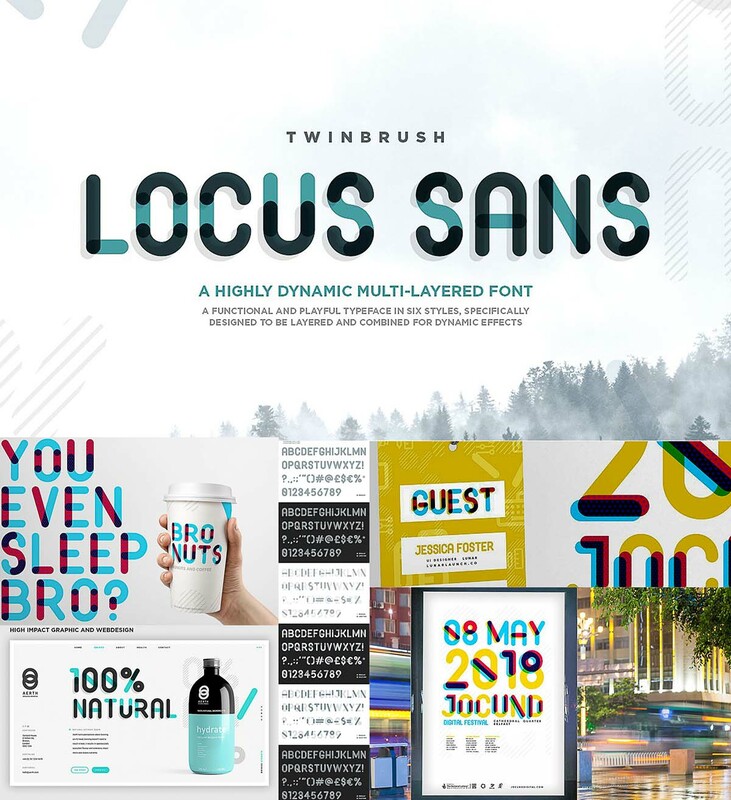 Available in six styles, the options that Locus Sans provide are only limited by your imagination. Each style has been specifically and meticulously designed and developed to layer on top of each other, producing highly varied outcomes and really push the boundaries of what font files can do. File format: .otf, .woff, .woff2, .css for Photoshop or other software. Tags: custom font, display font, modern font, rounded, san serif, sans, simple font.